Prato - 5" x 7" two sided magnetic acrylic photo frame. Accommodates 2 photos. Two sided. Stands vertically or horizontally. Two thick 3/8" acrylic layers held together with 4 strong magnets - total 3/4" thickness. 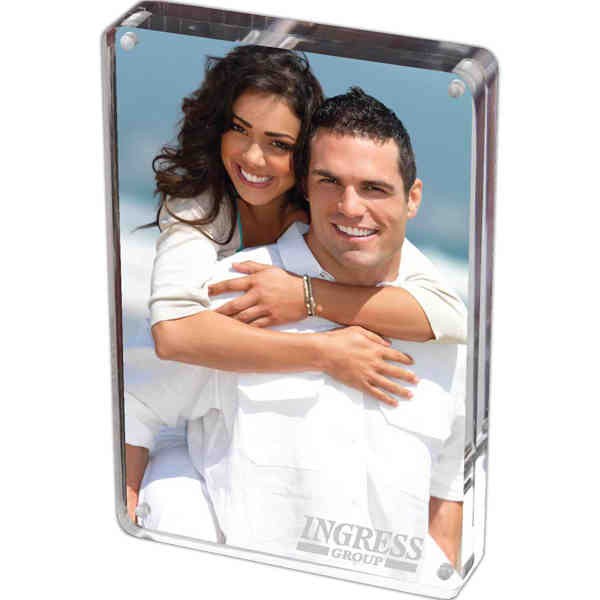 Frame measures 5" h x 7" w x 3/4" d.
Imprint Size:1" x 2 1/2"
Ship Weight:32 lbs, 32 lbs per carton of 24 pieces.